Parents often find that time surpasses so fast that their little league player is on his way to the majors in no time. Practices are also essential for parents as it is time spent with their all-star between school and extracurricular activities. Before your child steps into the classroom their learning begins all at home. Assist your child early on by practicing drills at home on a Sport Court Game Court. Your child has the highest level of protection playing on a court from Sport Court, with the safety features that are embedded. 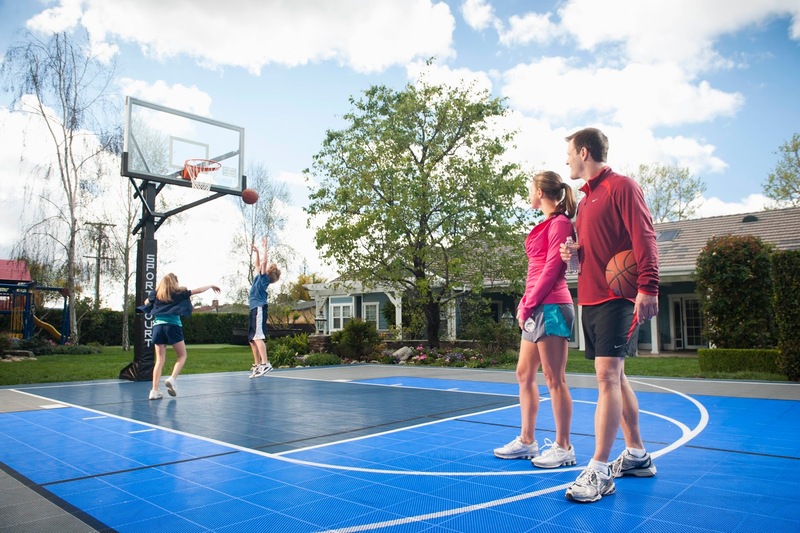 Sport Court surfaces offer a foundation, where there is a low percent chance of an injury occurring. Parents enjoy practices because their son or daughter obtains essential life qualities. Dedication, discipline, accountability, and leadership skills are gained. By parents practicing with their son or daughter routinely shows how dedicated they are to them and their dreams. Also teaching their child the rules of the game, explains to their child the discipline challenges that are faced. Parents show their children that they are accountable for their own actions when they do not make the appropriate move they will not get the outcome they strive for. Playing a one-on-one game with their son or daughter leadership skills are gained, by their child taking control on the court. When your child shows that they have what it takes to be a champion, it's because you helped them become a champion by practicing with them on a Sport Court Game Court.